Elemental Succession Set: 2x Rings, 1x Necklace, 2x Clothes (NOT hat or shoulders) Molag Kena Set: 1x Helmet, 1x Shoulders Law of Julianos Set: 3x Clothes (The remaining pieces) Bar 1: Julianos Inferno staff Bar 2: 2x Julianos 1H swords Try having every armor piece with divines trait and every weapon with precise. About the Enchantments: 3x Jewelry Spell Damage 5x Max Magicka 2x Max Health (1 for Chest and 1 for Gloves) 3x Weapon Shock Damage The basic build must include 5 pieces of light armor, 1 piece heavy and 1 medium so the undaughted guild passive is maximized. To achieve that you can alternatively craft some of the Julianos' pieces heavy or medium. Because of the Energy Overload Ultimate, there is a 3rd Ability Bar.The Abilities are: 1. Mage's Wraith 2. Hardened Ward 3. Dark Conversion 4. Bound Aegis 5. Inner Light Attributes: Magicka:64 Health:0 Stamina:0 Mundus Stone: The Apprentice (Alternative:The Mage) Food: Any Vr15 double-stat Magicka-Health is good (I use Melon-Baked Parmesan Pork) Play Style: Flame-Force Pulse Motive: The most important thing about this play style is this motive. The way it goes is: Starting with a medium destruction staff attack (= by pressing the attack button slightly more than a light attack just so two fireballs come out), then immediately force pulse, after that a medium destro staff attack and so on. Actual Play Style: Starting with Bar 2 activate Power Surge for buff and self healing. (Of course Bound Aegis and Inner Light must be already activated as they are toggle on abilities). After that, activate Daedric Minefield (If you choose it over Streak) and Liquid Lightning, and place them where mobs will be, and bring them there as soon as possible. To bring them there use 2 light attacks from the fire staff when fire signal from Elemental Succession appears, in order to proc both its passive and Molag Kena's Set passive. After that comes the main damage which is the Flame-Force Pulse Motive, but each and every time Crystal Fragment procs, you have to activate it, between the Motive. The activation of the Hardened Ward, depends on the enemy you are fighting. If it is an enemy that will instantly kill you without a shield, activate it right after Power Surge. And if it is a simple enemy, or group of simple enemies, you can activate it right after Daedric Minefield and Liquid Lightning. When the enemy comes down to 20% Health or less, activate Energy Overload and spam Mage's Wraith to execute. When low on Magicka, use Dark Conversion and Energy Overload light or heavy attacks to restore Magicka. In case you want to nuke enemies, use Energy Overload (light attacks for single enemies or heavy attacks for group of enemies), or if you need damage and Crowd Control, use Shooting Star in combination with Liquid Lightning where the meteor fire is. My Play Style: (There are small differences with the previous one) First of all I prefer Streak over Daedric Minefield, because I like to damage and stun, or mainly avoid enemies and their attacks (mostly bosses that insta-kill you). Use Hardened Ward, right after Power Surge at all times. Then use Liquid Lightning when mobs are chasing and place it where I will keep them until it ends while I use Flame-Force Pulse-Crystal Fragment Motive. For max DPS, I use Power Surge, Hardened Ward, Liquid Lightning and Energy Overload (light or heavy attacks depending on the situation), or Shooting Star with Liquid Lightning combo while using the Motive. If low on Magicka, I combine Dark Conversion with Energy Overload attacks and if ultimate runs out, I use Dark Conversion only. General Tips: 1. As long as you have Magicka, you can use Hardened Ward to stay alive, so without Magicka you're basically dead. 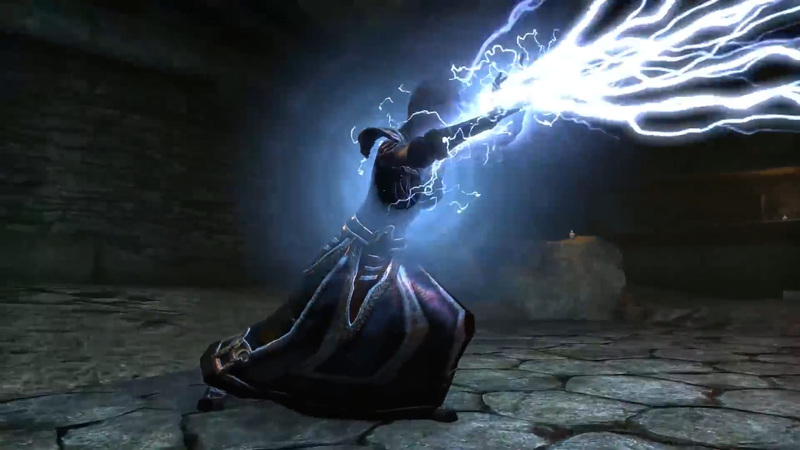 Ways to restore Magicka: Energy Overload, Dark Conversion, fully charged destro staff attack. 2. Be sure to have more than 10-15% Magicka in case you need a life-saving Hardened Ward. 3. While in a fight, be sure to buff yourself again if needed, but if not, it's not the end of the world. (It's more important while in execution phase) Also if possible proc the two sets passives again in the fight. 4. Of most importance, is the right use of Hardened Ward. Use it when the previous damage shield is over or nearly over. Avoid spamming it unless needed! 5. Don't spam Streak unless it's ABSOLUTELY NEEDED, because Magicka will be massively consumed. Rating: 3.3. From 12 votes. I hope I helped and feel free to share your opinion. I’ll give this a try it sounds promising, but why not Thief stone instead of Apprentice?